Derek Dupuy, Sr. Loan Officer at GMFS Mortgage Sherwood, NMLS #99209, explains what is private mortgage insurance (PMI) and the different ways borrowers can pay or finance. GMFS Mortgage #2 Best Place to Work in B.R. 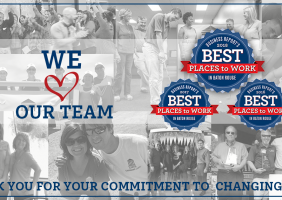 The Greater Baton Rouge Business Report has named GMFS Mortgage #2 Best Place to Work for 2018! GMFS Mortgage was also named a Best Places to Work in 2016 & 2017….